It was so nice to meet this bundle of cuteness and her mom this week! 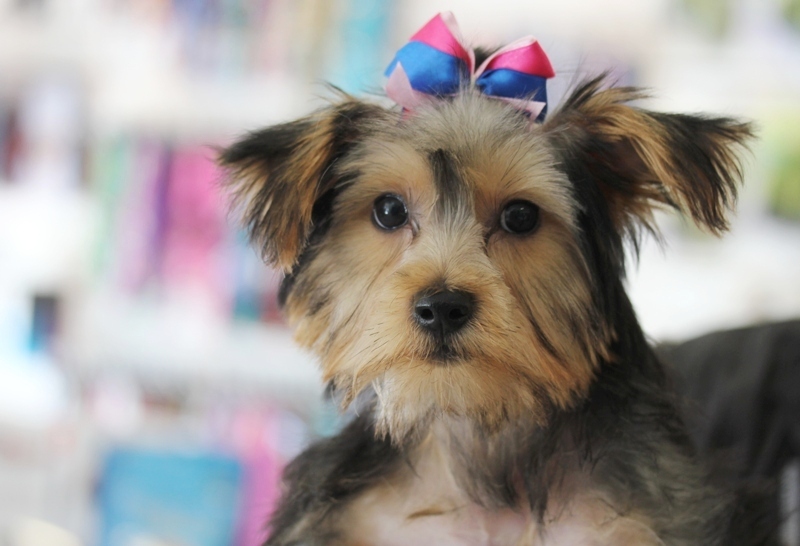 Itzy, a 3 month old Yorkie puppy, came to us for her first groom. In between kisses and snuggles, our groomer Jill gave Itzy her bath, a little trim up, and a bow on top. Such a sweet puppy! !